Welcome to week six of Fall Writes! If you’re looking for some writing process inspiration, check out “5 Lessons I Learned Writing Every Day in June” over at ProfHacker. Your weekly goals are posted below. Happy writing! 1)– I want to finish the revision to get to my (own) editor by Friday (including cutting down almost 2300 words that I’ve added since starting to revise–this is actually BETTER than where things were at last week). The library sessions seem to be good for me so I want to keep with these (including Thurs AM, Fri AM, Sunday early afternoon), but not only. 1) Figure out the specific literature I’m addressing, which should help with focusing my argument. 2) Decide which sections to cut from my diss chapter for the article. To stick to these goals, I’m going to schedule writing times for Thursday and Friday mornings, 3 hours minimum each day. I aim to work on the probation chapter for two hours today, two hours tomorrow, and two hours “with” Nicole on Sunday afternoon. I really need to have put the finishing touches on the first draft of this chapter by a week from today (10/20) so that I can devote next week to finishing the institutional circuits chapter and maybe only blow my self-imposed deadline for both of these by a week or so. I’ll be at a research workshop Thursday through Saturday, which is going to eat up a good amount of time. For Tuesday, I have some job applications that need to go in, transcripts to clean up for my digital humanities class project, and I want to continue chipping away at my manuscript revisions—at this point, I’m going back to some research I did a while ago and writing it up. Saving grace for Wednesday will be that two classes are taking midterms, so I can use that time as necessary to get things done. Once the research workshop is over, I’m going to have to grade about sixty midterms, so probably not much writing is going to get done over next weekend. 1. Continue on with probation chapter. Mon. and Tues.: fine-tune my detailed outline/data excerpts and finish eliminating the unnecessary excerpts for a more focused argument; Weds.-Fri. continue writing and refining, working in parole chapter too as necessary. 2. Revisit institutional circuits chapter as my argument develops. 3. Put together 30-min. teaching demo in advance of practice session next Sunday(!!!). 1. I need to decide what to cut from my dissertation chapter in turning it into an article on formerly incarcerated women’s processes of achieving “rehabilitated femininity.” Currently, I discuss five key areas, which I think is too much for an article. I need to figure out if I have enough data to focus on just one or two areas. 2. I need to figure out what literature, specifically, I’m in conversation with. This will require reviewing articles I’ve read and identifying new ones. 2) (For R and R) Build memo once I can get the revised draft done. 3) Finish redoing gender/religion paper abstract and get that out. 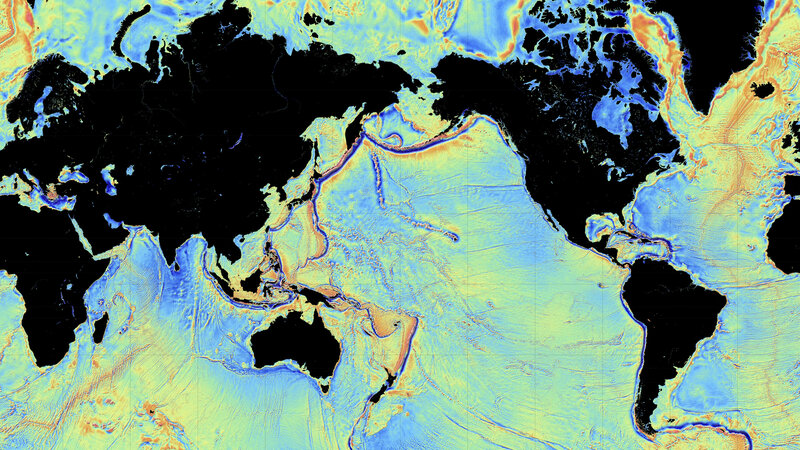 New, detailed map of the ocean floor. 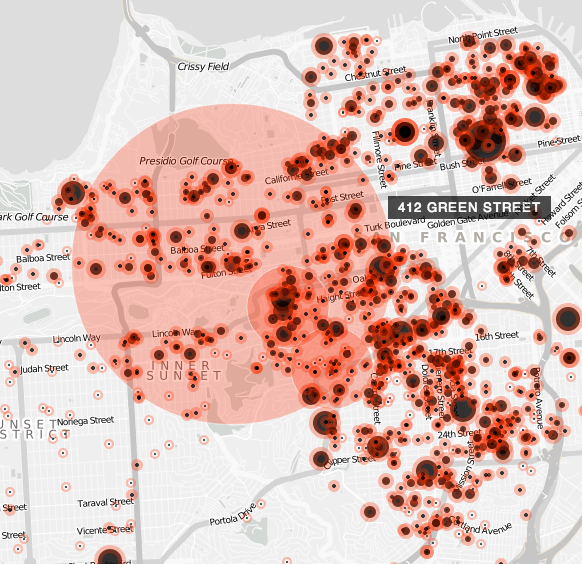 Image from Quartz. Hi everyone! Last week was crazy full of job and postdoc applications, and I completely forgot to put up a post on Monday! Add your goals to the comments section here, and I’ll get a new post up tomorrow. This week I just want to get through reading all the policy reports and adding my notes from that and from other responses as part of this R and R as margin comments in the article manuscript (pre-changes). Side comments will allow me to think through which of the changes I want to and can make rather than messing up the whole *-ing thing/ losing clarity. For this week, my goals are as follows: seven hours of work Sunday, Tuesday, Thursday, Saturday, an hour during lunch Monday, Wednesday, and Friday, and two hours Monday and Wednesday evenings for a total of forty, including teaching. At least half an hour of work on the book manuscript, Sunday-Friday. No work next Sunday (instead of Saturday, because Sunday is full of fun events). In terms of concrete goals, I need to get a course proposal out to Dr. Karen so that I can get some feedback on it before a big-deal postdoc deadline rolls around, and I will most likely get comments back from her on a job letter, which I will then need to turn around. I also need to review some interview transcripts for Staring Out to Sea, the oral history project for which my digital humanities students will be working to build a website. This week I need to finish revising an article draft by Friday night, so I can send it to my department writing group. My goal today is to spend five hours revising one section of the article of the article that I’ve been struggling with.On Thursday and Friday I want to spend about eight hours each cleaning up some of the clumsy transitions and underdeveloped paragraphs. On Saturday and Sunday, I want to spend about four hours each day continuing to take notes on the documents I brought back from a recent research trip. 1. Complete “institutional circuits” chapter by end of the day tomorrow (Weds.). 2. Spend Thursday and Friday finishing an outline of my probation findings. I want to finish a crappy first draft of this chapter or half-of-a-chapter no later than Oct. 20. 3. Based on the revisions I’ve made to other chapters, I need to revise my introduction and add stuff to my lit review, also by Oct. 20. Welcome to Week 2 of Fall Writes! Don’t forget to update us on your goals for the week, if you haven’t done so already. And if you’re lurking/on the fence about joining the writing group, go ahead and introduce yourself in the comments. Virtual accountability and goal-setting make for writing magic, I SWEAR. If you’re looking for writing tips, check out George Orwell’s Six Rules for Writers and follow @advicetowriters on Twitter if you’re into that kind of thing. 2) Make a brief case for how the policy was being pitched around social goals (if there were really any) in the rhetoric–unless this can’t be done in a way that is coherent or relates to what I’m saying, in which case, explain it in the memo. 3) Make the changes in the article already noted, plus the best points of the above. That includes following up Reviewer 2 feedback to theorize even more. There are some places I can push more, but am concerned about muddying up the clarity. 4) Any helpful direct quotes from interviews that are topical? If so, add, per reviewer request. The big blocks of writing with groups of other faculty are good, though not sufficient to finish quickly. II. Do some brief research on a couple of journals for joint ppr (Thurs. call). Same work schedule as last week: seven hours of work Sunday, Tuesday, Thursday, and an hour during lunch Monday, Wednesday, and Friday, and two hours Monday and Wednesday evenings for a total of forty, including teaching. No work on Saturday. As far as more concrete goals for the week, I will probably need to turn that research proposal back around, since I sent off a third draft earlier this evening. If we can get that squared away, I need to turn my three-page research proposal into a six-page research proposal, and send that off to Dr. Karen for the next round of reviewing. I am also due to send her a first job letter on Wednesday. Tues. am: Write up diss revision notes from last week’s meeting; start outlining changes to the chapters. Weds-Fri.: Put in at least 4 hours of concentrated work on diss. revisions in the mornings; start working probation analysis into parole chapter. Sat. : Finish off second wave of apps that have Oct. 1 deadlines. 1) Spend 10 hours revising an article that I need to send to my junior colleagues by September 26 for our department writing group. This includes reading more secondary source material to provide better context in one section. 2)Spend 10 hours working on a fellowship proposal due in November. That was one of my goals for last week, but student issues took up more time than I expected. The proposal is supposed to be ten pages, so I would like to draft 3-4 pages this week. 3)Spend 10-15 hours organizing and taking notes on the archival material I collected this summer. 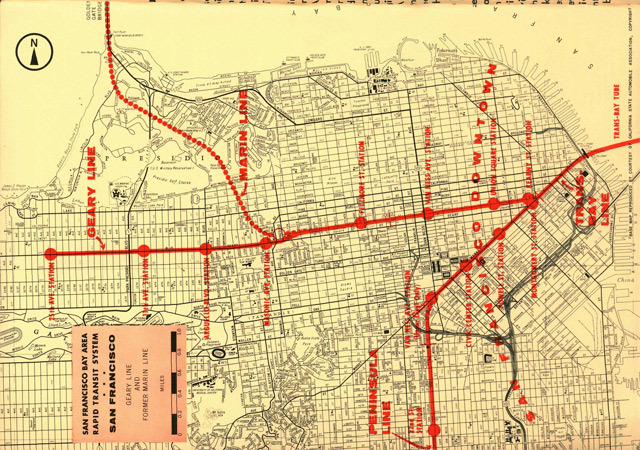 Decolonize BART map from Black Maps. 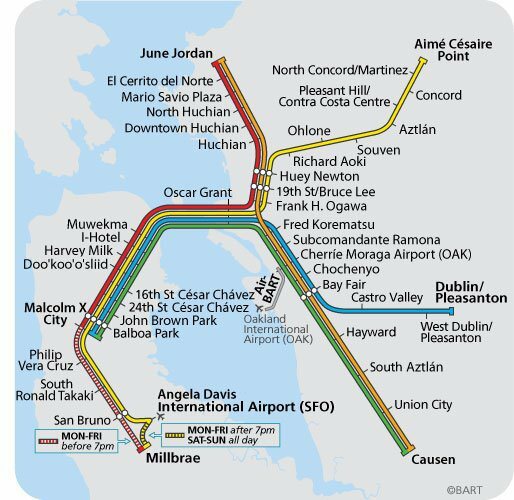 For whatever reason, Pleasant Hill and Concord are unchanged. Welcome to the first week of Fall Writes! As we dive in, I wanted to highlight Trish Roberts-Miller’s post on working forty hours a week at Inside Higher Ed. She references the cult of academic “busyness,” wherein we all seem to be in competition over who can be the most crazed about their schedule. One of my personal goals for this year is to cut down on my anxiety by setting more boundaries on my work time and cultivating a sense of presentness. No joke, I’ve been trying to listen to Eckardt Tolle’s The Power of Now on audiobook during my commute, but it tends to make me drowsy. In any case, you might also want to think about how goal-setting might not only make you more productive, but improve your mental and emotional health as well. Don’t be afraid to make meditation, exercise, or mindfulness part of your daily or weekly goals. And now, without further ado, your weekly and semester goals! And if you haven’t joined us yet but want to, go ahead and introduce yourself, your semester goals, and your goals for the coming week in the comments. Semester goals: Balance, limit the amount of time I spend on e-mail, trim down a dissertation chapter for submission to an edited collection, overhaul another dissertation chapter using some new research, work through my backlog of oral histories to edit and send off to people. Weekly goals: Seven hours of work Sunday, Tuesday, Thursday, and an hour during lunch Monday, Wednesday, and Friday, and two hours Monday and Wednesday evenings. Saturday no work except doing an oral history in New York. Submit the first fellowship and job applications of the year, return revised research statement to Dr. Karen. Dissertation: I need to crank out crappy first drafts of 1.5 empirical chapters (the .5 may be its own chapter; jury’s still out on that one) and the conclusion. Some of the work involved here will be revising writing I’ve already done, so I’m not starting from scratch. I also will have to allow for time to revise the chapters I’ve already written, which will soon be under review with my most critical (and helpful!) committee member. The big “process” goal here is for me to work on getting my ideas down on the page quickly, and do less of the time-consuming and far less immediately necessary work of editing and citing the literature, which in the past I have used to procrastinate. I have found that accepting that my first draft will be crappy–and that that is ok!–to be very freeing, and it has allowed me to move much more quickly and to feel like I have actually accomplished something. DUH. Job search: my job docs are all pretty much in final draft form, so the real work now is tailoring for each specific job I’m applying to, and updating docs as I have revelations about the dissertation that might make for a more persuasive argument for why they should hire me! Starting on Monday, Sept. 22, I will write up my chapter on probation. I need to figure out whether it will be folded in with the chapter on parole, or stand alone. I will send off a draft of this to my diss. advisor by Monday, October 20. The week of Oct. 20-26 will be devoted to job applications with November deadlines, and to traveling and presenting my work at a conference. Starting on Monday, Oct. 27, I will start writing up my chapter on welfare. I will send off a draft of this to my diss advisor by Monday, November 24. Weekly goals: For this coming week: I am sending out a massive wave of apps by the end of the day on Wednesday, so the first part of this week will be devoted to that. On Thursday, I will return to the dissertation, fine-tuning my introduction and two empirical chapters with the goal of sending them off to a committee member by the end of the following week–no later than Friday, September 19. Semester goals: I think I’m also going to steal Dan’s plan to track my work hours. I have a light teaching load and no preps this semester, so I think it’s realistic to try to spend 35 hours/week on my own projects. Weekly goals: For this week, I need to organize the research I completed this summer, so I can incorporate it into my journal articles. I would also like to finish a rough draft of a research statement for a fellowship application. Ideally, I would like to spend 20 hours on organizing research and 15 hours on the research statement. This week I need to get as far as possible on my R and R: sorting comments, writing the memo to explain the changes that are not feasible, making changes that are feasibly (as far as possible this week), and writing into the memo what changes I did make. This semester I am doing background research for my new project that spins off from the dissertation, with a student. We are a couple weeks into that now. My goal is to have a clearer idea of what I want to propose for internal funding competition, by the end if the semester. I want to apply for the Jan. due date. This semester I want to revise a joint paper and get that under review (by December). We (the coauthors) are talking next week. This semester I want to work on getting my 3rd empirical diss. chapter into article form. I may propose that one to a special issue in mid October. This should be my ASA paper, so I should get it in to ASA for the end of December/early Jan. deadline. If I can submit this paper at the end of this year, that would be awesome. I also would like to present this paper at Miami U this year some time. I have another paper based on my master’s thesis that I really want to publish, that I have not really worked on since 2010 (when I got very serious about the dissertation). To do this will require doing a search with a resource that I don’t currently have access to–so I’ve been trying to do that. I also will need to review literature in the areas the paper is based on, since before 2010 (which I have not kept up with at all). ` In honor of Labor Day, a map of globalized labor migration streams from Combating Globalization. Writing groups: they’re not just for summer anymore! Since these writing groups have been so successful, we’re going to go ahead and do another one this fall. It’s not just for historians or just for academics, but for anyone plugging away at a research or writing project. We officially kick off on Monday, September 8th. Here’s how it works: we each decide what we want to accomplish during the fall, and set weekly goals to help us get there. Each week, we report our goals to the group, and a week later tell everyone how we did, along with our new goals for the new week. Along the way, we might spice things up with some Twitter workblasts or other virtual boot camp-y things, but that’s totally up to the group. So if you want to join us, between now and the 8th, leave a comment on this post to introduce yourself, tell us your overall goals for the summer, and what you’re going to do during the first week. On Monday, I’ll put up a post with all of our weekly goals. As the week comes to a close, come back and let everyone know how you did, and what you want to accomplish the following week. We’ll repeat that for the following eleven weeks. The point of the group is to keep ourselves accountable to incremental tasks building to our larger goals, so it works best if we post every week. When you’re setting your goals, be specific and realistic. Instead of saying, “I’m going to write every day,” let us know how long or how much you’re going to write, on which days. Are you going to write two hours each day? Four pages a day? Five pomodoros? Are you shooting for a #graftonline? Keeping Historiann‘s cloister-like schedule? Are you going to read some books or articles? Spend a day in archives? Look for grants and fellowships? Track your working hours and commit to forty a week? Let us know! The more specific you are with your goals, the more you’re likely to get done. And instead of planning to write a trilogy of monographs in twelve weeks, set goals that are challenging but attainable. They don’t even need to be writing goals! Maybe you want to finish up all of the research for your dissertation. Maybe you want to launch a website based on your project. We are here to affirm your choices! Just make sure that your goals are realistic, or you’re likely to get disappointed and burn out. And that’s it! Simple, right? By the time the holidays roll around, you’ll have accomplished more than you would otherwise, and you’ll have a record of all the work you did during the semester. So if you want to join us, go ahead and leave a comment on this post. Can’t wait to write with you all! 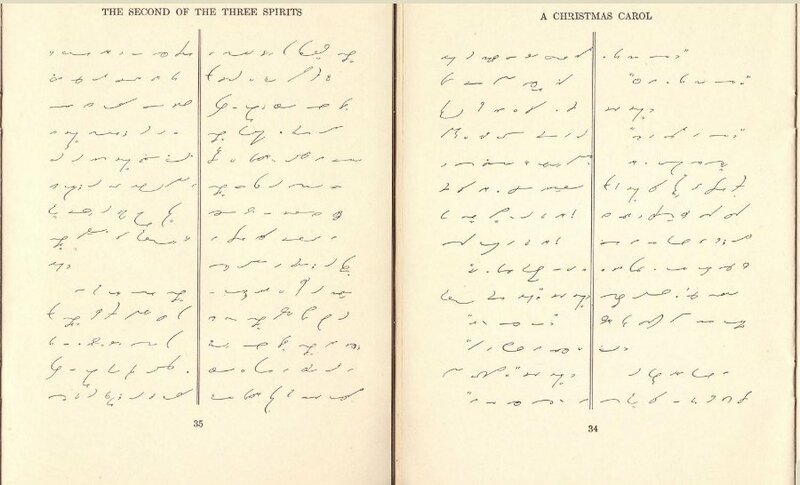 Section from A Christmas Carol written in Gregg shorthand. 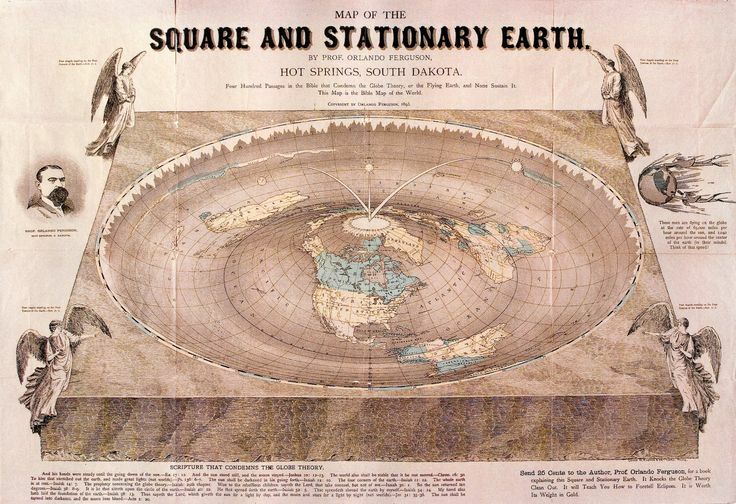 Source: Wikimedia. Time runs short here at Summer Writes, but give yourselves a hand for your hard work! Since this is our last week, think back to your goals for the summer, and think about what you can do in the next week to achieve them, or at least to get reasonably close to doing so. I hope you all feel like you got something out of setting goals each week, and congrats to Dr. Nicole! Happy writing, and check back here in a few weeks for the beginning of Fall Writes! Nicole: Submitted her dissertation! Congratulations! Dan: Begin revising article, firm up fellowship letter to send to The Professor Is In, schedule readings for U.S. history courses. One 50′ pom in the morning before archives, two in the evening. 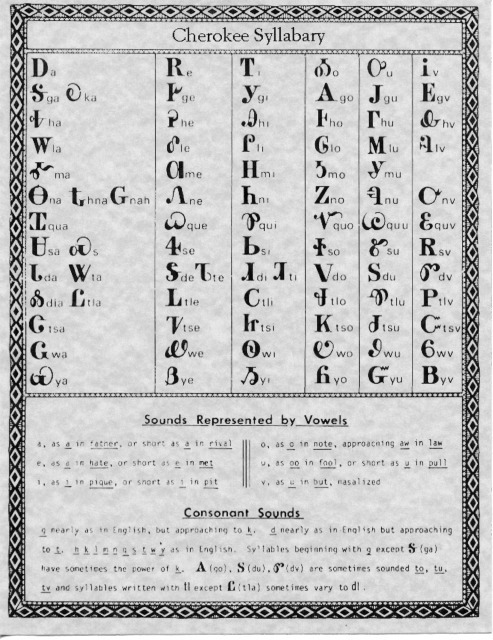 Cherokee syllabary, showing the script invented by Sequoyah. From the National Library of Medicine’s Native Voices. Welcome to week 11! We’re really in the homestretch, so it’s time to start wrapping up those summer goals—at least for our purposes, anyway. If you’re like me, you’ll be working right on through August, but it’s good to stop sometimes and reflect on what you’ve accomplished. So as you set your goals this week, think about what you can do to make yourself proud at the end of week 12, whether that means devoting some time to a neglected project, challenging yourself to get a bunch of words down on the page, or hammering our your syllabi for the fall. Roberta: My goal is to get that context research completed so I can begin to sketch out a rough draft of chapter two by next week. I continue to complete at least 4 -50minute pomodoro sessions each day and often put in 6. Feeling good about the amount of progress I’ve made so far this summer even if the plan changed dramatically from my original (unrealistic) goals. Melanie: Lately I’ve been working on refining my chapter outlines and rewriting + expanding my first chapter. My goal for the summer is to still finish a draft of my 1950s chapter, which needs to be ready to workshop in early September. My plan to turn in a whole first half might have changed a little bit as I think I may need to add another chapter… but I’m just rolling with it. At the very least, I finally know what this whole project looks like, which is incredibly empowering. Hoping to knock out a few pages by the end of the week when I am back in Philly but not putting much pressure on it as I am TIRED. Meg: My one must-do task is to pull together a 5 or so-page paper by Thursday and submit it to the panel organizer for a conference I have in a couple of weeks. Anything I accomplish on top of that will be gold! Goal for Fri-Sun (if still alive): get back to diss. Revisit chapter synopses I wrote and start expanding into more detailed outlines for the remaining two empirical chapters and the intro/lit review. Dan: This week I want to log four 50′ poms a day for the remaining three days, since it’s Tuesday night already and I’m very behind! But I definitely need to order those books, edit and resubmit the blog post, start on article revisions, and work on job materials. Manuscript page from a Bible in Nez Perce, from the University of Idaho Library’s Special Collections and Archives. Welcome to week 10, folks—we’re barreling toward the end of Summer Writes. Even though we strive for long blocks of uninterrupted writing time, sometimes we fall short of that. Gregory Semenza offers some advice on the “The Value of 10 Minutes” to help us meet our writing goals as we feel ourselves—and our schedules—pulled in a million different directions. You weekly goals are posted below. As always, happy writing! 1. Work on sketching out the remaining two empirical chapters as I envision them, as well as a brief statement on the overall contributions of the diss for one of my letter-writers. 2. Go through my past writing on this topic and assorted notes and start piecing together the intro/lit review chapter. 3. Maintain sanity through deep breathing, controlled consumption of caffeine, and ample play time with the dog. 1) Get revised conclusion to advisor (am done rereading stuff as far as I know; have brainstormed enough; time to finish tying it together) Tues. night or Wed.
3) Do whatever tweaks with the conclusion are needed to make it pass; if time run it by editor, too, Thurs. or Mon. Dan: Monday through Wednesday I’m going to try to log at least four 50-minute poms a day on work, Thursday I’m going up to the Bay Area, and Friday I’m doing an oral history. Concrete goals for this week: figure out course books to order, prepare the oral history, get a post drafted for a new blogging project, and send an article draft to my advisor on Saturday.